Hotel restaurants are no longer subpar joints to grab a bite when you check-in and it’s too late to get a reservation at a better spot. 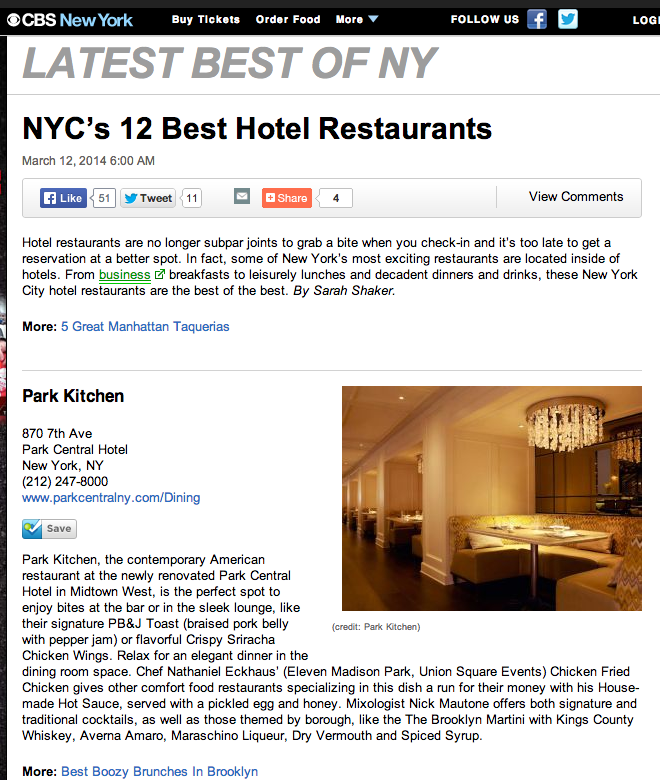 In fact, some of New York’s most exciting restaurants are located inside of hotels. From business breakfasts to leisurely lunches and decadent dinners and drinks, these New York City hotel restaurants are the best of the best. Forgive me for not blogging for a whole month! Did you celebrate St. Patty's today? What did you sip on? 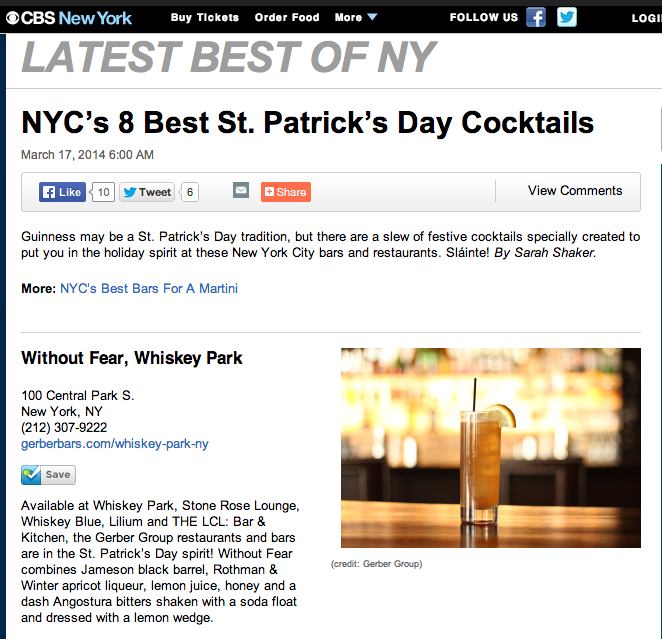 Guinness may be a St. Patrick’s Day tradition, but there are a slew of festive cocktails specially created to put you in the holiday spirit at these New York City bars and restaurants. Sláinte!